Graduate Fashion Foundation is thrilled to announce that fierce fashion designer Dame Zandra Rhodes DBE RDI will be joining the charity as a new Lifetime Patron this March 2019. 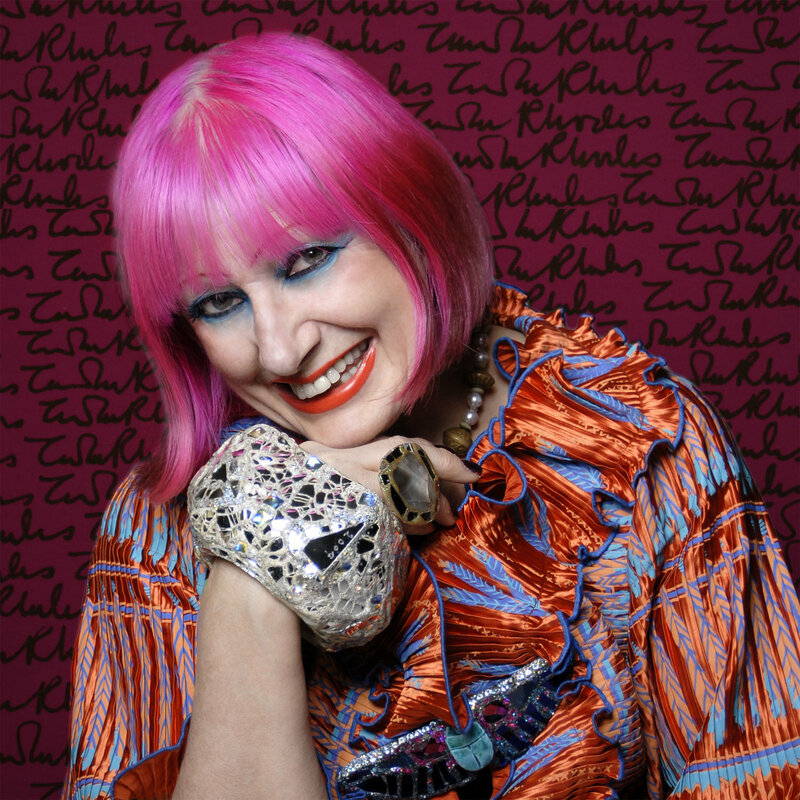 Dame Zandra Rhodes has been an iconic figure within the UK fashion industry, celebrating her 50th year of the brand this spring 2019, best known as a pioneer of British Punk fashion with her use of bold prints, strong feminine patterns and a theatrical use of colour. Rhodes’ new role for the Graduate Fashion Foundation will include being a judge for Graduate Fashion Week 2019 as well as playing an important role in grabbing the attention of admired fashion houses and retail brands to support the charity. As a Lifetime Patron, Rhodes will also help to launch this year’s graduate’s careers by increasing exposure of the weeklong event and offer vital advice and guidance. Dame Zandra Rhodes joins the charity as the seventh Lifetime Patron, alongside Christopher Bailey MBE, Victoria Beckham OBE, Vivienne Westwood DBE RDI, and Nick Knight OBE who were all appointed in 2016 during the charities 25th anniversary as well as Diane von Furstenberg and Nadja Swarovski who were appointed in 2018. As part of her role, Dame Zandra Rhodes will join the Graduate Fashion Week event on Wednesday 5th June at the Gala Award Show. She will join an exciting panel of judges for Graduate Fashion Week’s most creative award with a cash prize, The Hilary Alexander Trailblazer Award. Since opening her first shop 1967, Dame Zandra Rhodes has become one of the industry’s most distinguished designers. After studying at Medway College of Art, and then at The Royal College of Art in London, Zandra Rhodes early textile designs were considered too outrageous by the traditional British manufacturers so she decided to make dresses from her own fabrics. Fast forward six years, Zandra Rhodes became an award-wining designer, creating garments for a range of diverse clients such as Diana Princess of Wales, Elizabeth Taylor, and Queen’s front man Freddie Mercury.